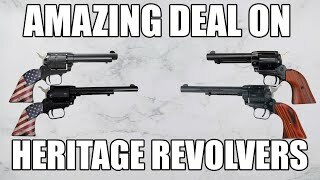 Heritage Arms RR22B6: Born of the traditions of the Old West, the Rough Rider maintains much of the look and feel of the legendary Single Action Army revolver, only in a scaled down version. 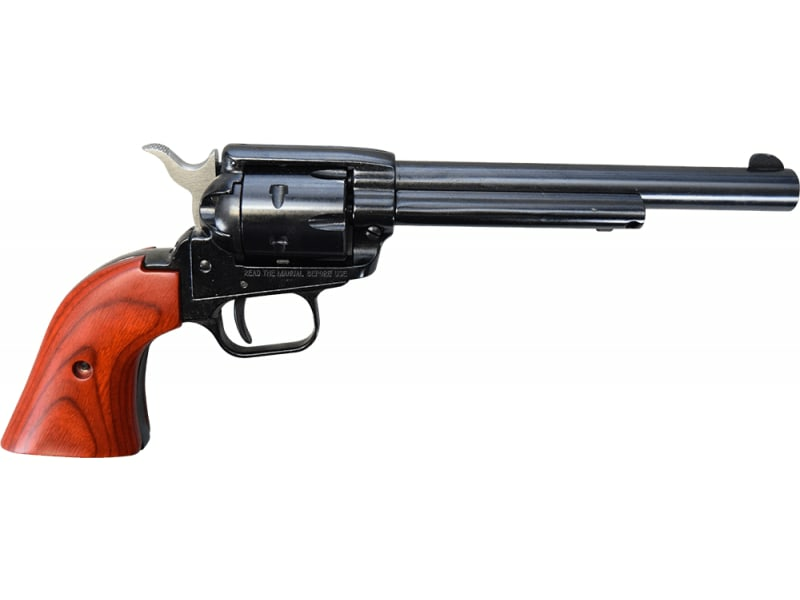 Chambered for the .22LR, the Rough Rider is manufactured using state-of-the-art precision machinery that assures its accuracy and reliability. 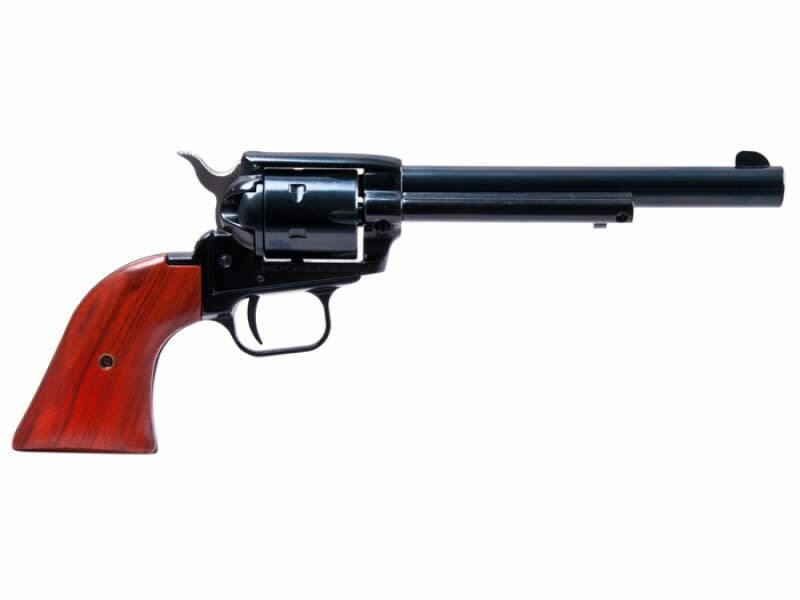 The cylinder lock-up is tight and the perfect timing of the action makes for a handgun that will put its shots where you want 'em. The machined barrel is micro-threaded and inserted into the frame for the optimal barrel/cylinder gap to give you maximum ammunition performance. 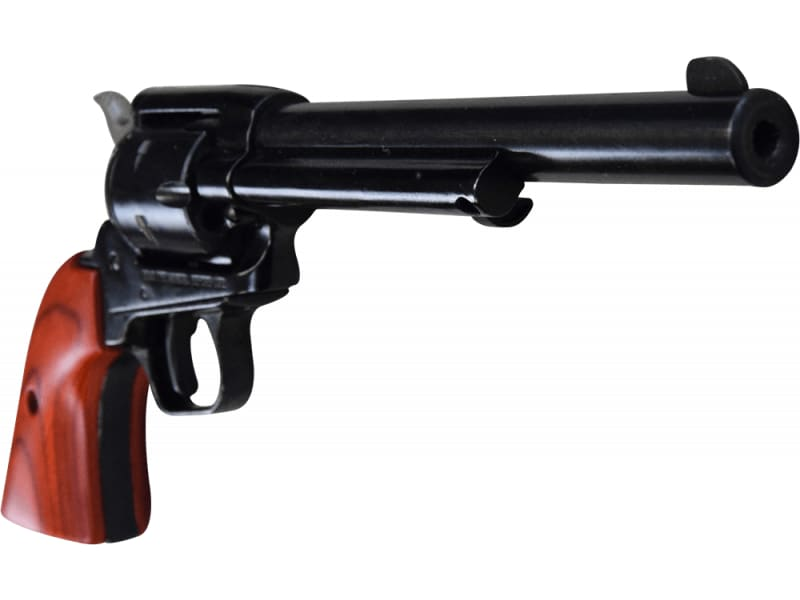 A hammer block mounted in the recoil shield provides extra protection and has a red dot indicator that lets you know when the gun is ready for action. 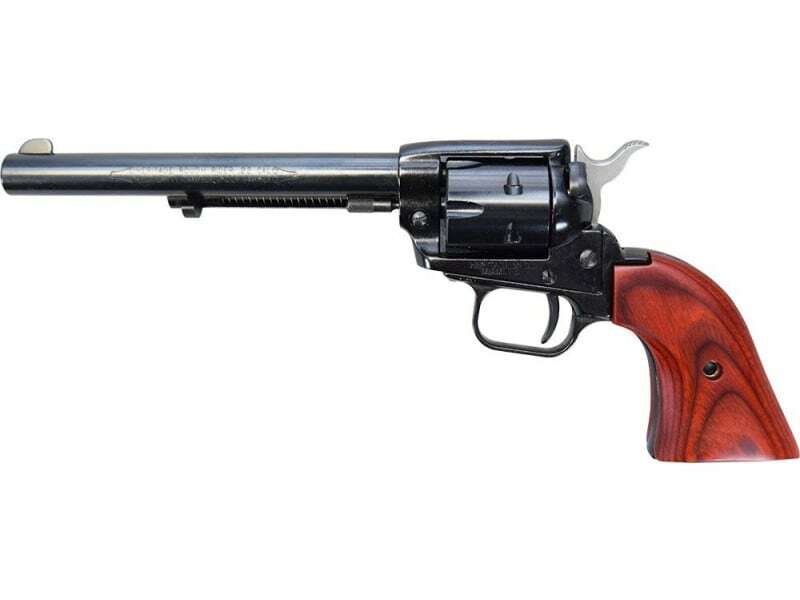 A more authentic looking flat-sided hammer paired with exotic cocobolo grips, makes the Rough Rider both functional and handsome. 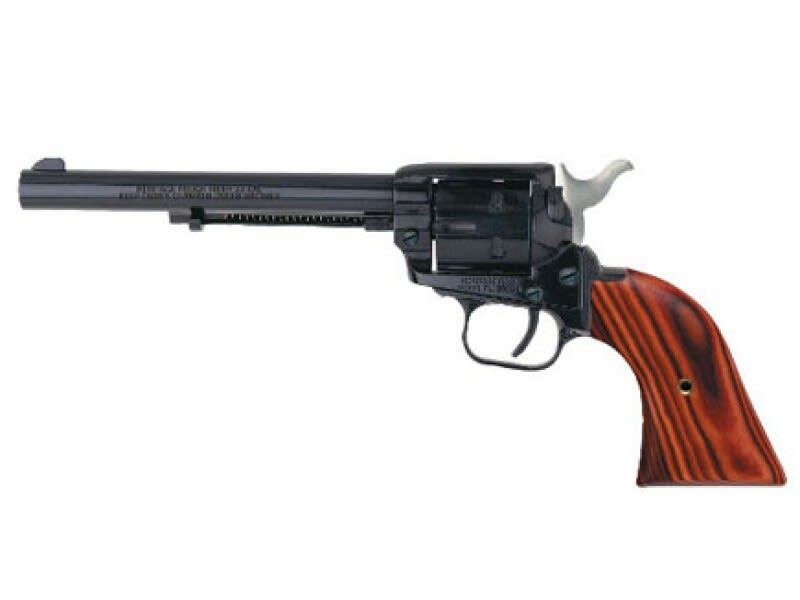 Heritage Arms Rough Rider .22 LR Caliber revolver, Blued finish, 6.5" Barrel, Wood Grips.